❝ Greetings from snowy Switzerland. Jean-Marc and I had no trouble making our flight connections on Tuesday because the Kingfisher flight from Goa to Mumbai was the same plane as the Mumbai to Delhi flight so the transfer was no problem at all. We had a long wait for the AF flight which was also delayed but everything worked okay there too and the baggage showed up on time as well. The only real problem we had was when we arrived in Paris-- because of the subway and train strike, a normal one hour taxi ride to the city took three hours. We finally got to Paris and then drove 6 hours to Switzerland. There we were surprised to find about 20 centimeters of snow- rarely do they get that much so early in the season. What a dramatic change from the heat of India and the beaches of Goa! ❝ Please feel free to use us as a reference for potential clients. 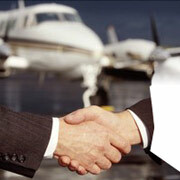 We had a wonderful time and everything you promised to do was done professionally and efficiently. ❝ It was unfortunate that we didnt meet but I want to congratulate you for organizing such a very good tour for us. I will certainly recommend yr company to our friends because everything was very well organized, from being met at the airport by Shane to the wonderful driver we had. The guides were good too but the one in Jaipur was best. The only thing we did not like and think I should tell you was the lunch in Jaipur - in such a luxury tour I recommend that it should not be included because the place was of low quality. In fact a tour without meals would suit us best next time I think. The Intercontinental in Delhi was also sub-standard and I am writing to them separately but it is not something you could have foreseen. The hotel was a building-site with literally NOWHERE to sit, there was no hall/lounge etc because works were on-going everywhere and our room was old and dirty with stains on the furniture. The bathroom had some do-it-yourself repairs and the taps did not work. On the other hand the Crown Plaza was absolutely wonderful - very much our style of hotel in fact - and if we return to Delhi I would like to stay there and not in the centre because the hotel is so fantastic . ❝ Good to hear from you. Well, our time in Kerala was really good. We’ve been very well served by very good professionals. The time we spent in the house boat was the best ever. The crew is very friendly and made us feel at home. I miss the chef’s food! We also learned a lot about Indian culture with them, what was great. Our driver is also a very good professional, and very friendly. We could even feel safe in the crazy Indian traffic! He was an excellent guide. The only thing I would change would be spend all the time in the house boat instead the days in Kovalam. Not that Kovalam was not good, is only that the time in the house boat was so much better. I’m finishing the website with the photos I made during the travel. When it’s done, I’ll send the link to you, if you’re interested. ❝ Thailand package - Dear vijay guptha, Thank you very much for good arrangements for BKK- Pataya tour. Accommodation was very good. All meals arrangements were excellent -Travelling bus and tour guide were top good and hospitality is very nice, over all the tour arrangements are beyond expectations. ❝ Sri Lanka Tour - Tour guide mr Amritha is very nice, well trained, calm and answered all our enquiries, Vehicle was very comfortable, driver and helper were very co-operative. Hotels stay was very good at all the places as promised by you. Food during lunch and dinner was not good at all, except last day in colambo , where it was fine after many days. In some hotels, we were told that their chef is absent that day. Mostly we did not get chapaties or roties at all, except in colombo last day. We requested you that last day ie, on 18 th oct we were given time for shoping, but whole srilanka goes on holiday. No shops were open on that day, We were not updated till, we were in Kandy, After that we could not do anything as we had to run as per scedule only. That day time of tour was almost wasted. Your srilanka counterpart must have updated you before. One more Travel time from Nuwera Eliya to beruwala was to tiring and too long as it was return almost all the way back to colombo and then beruwala, as traffic moves too slow, It took us 9 hours that day. Please update your customers in future. I think it was duty of Srilankan travel agent to update you about all these. ❝ Flights to Kullu and Ladakh - Arrived home Sunday after a fantastic tour in Ladakh. Just a quick note to say we received very good service. The flight up to Kullu was only slightly delayed and we had no problems flying the bikes back from Leh. Many thanks for your help. 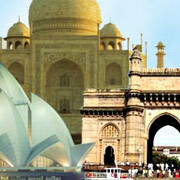 ❝ Dubai package - I am Mr Madhusudhan Kamath from Mangalore. A group of 11 members including myself just returned from a trip to Dubai.Our 4 nights 5 days family trip was arranged by Mr Vijay Gupta. I’m sending this e-mail in utmost appreciation of the services rendered by Mr Gupta. 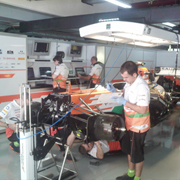 Our whole group throughly enjoyed the Arabian hospitality which is truly world class. But what really prompted me to type this mail was the prompt attention and efficient way in which Mr Vijay Gupta handled our query. Prior to our trip, I made a thorough search and survey of all the offers offered by other airlines. And i can truly say that it was Vijay Gupta o who took personal interest and accommodated all our last minute requests( like adding an extra day, helping to arrange visas and giving hotel choices) with utmost promptness and patience. That is why I felt it appropriate that I express my gratitude on behalf of my whole group and in particular Mr Vijay Gupta who ensured that we had a whale of a time. Right from the time we entered the flight on 24th Feb’10 it was a great feeling. We wasted no time when we arrived at DXB airport searching for the vehicle that was to take us to the hotel, as the Chauffeur was there well in time. Check-in at Hotel was hassle free. City tour with Mr. Malik as the guide was something which we keep talking even to this date as he gave us very good info and the man was updated with all happenings in Dubai and worldwide. We missed the Dhow Cruise as we reached hotel very late that evening from our shopping binge. Desert Safari was almost going to be missed as one of the 2 land cruisers battery was dead and we wasted 3 hours on the road waiting for the alternate vehicle, but all this was soon forgotten when the safari began and when we too shared a step or two with the belly dancers. I also take a special mention of Mr. Vipin Sharma at Dubai and Vijay Gupta at Delhi who had patience to answer our numerous calls with all sorts of doubts. ❝ Sri Lanka trip - I had booked My family vacation to Sri Lanka from 13.5.2010 to 17.5.2010 by Mr. Vijay Gupta. First of all I congratulate for the excellent job by your booking office. Everything was done very smoothly, right from enquiry to booking my trip. Secondly, I really appreciate the arrangements made by your company were really commendable. All the arrangements from Airport pick up to Hotel booking and back to Airport were in order and perfect. Because of all these, I had a great holiday with my family. For all this I thank you and your team for the great work. I would request you to maintain the same quality service in future also. 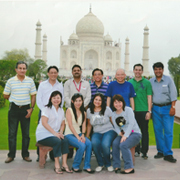 ❝ Singapore trip - Every year, since past 4 years, our office has an offsite visit to some overseas location. This year we chose Singapore. After talking to about 2-3 travel agents, we immediately (in fact, during the first 2 calls/ emails itself) zeroed-down Vijay Gupta. We received good deal and a good service, whether during the state of booking flight, hotel and local itinerary or during the stage of making necessary bookings. We were quite satisfied with the advice given by Vijay Gupta. He recommended good hotel and chalked out the visits to Jurong and sight-seeing, etc. as per our convenience. 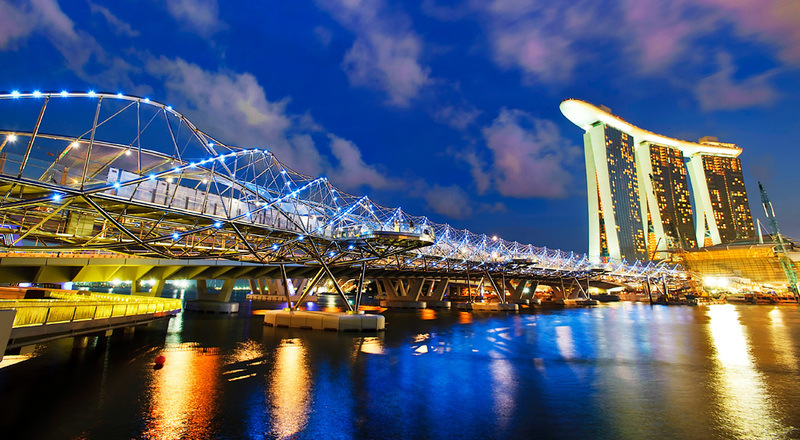 ❝ Singapore tour package - I would like to thank Mr Vijay Gupta for making a memorable holiday for me and my family, parents and sister a total of 9 to Singapore in June. The arrangements were of a high quality and most importantly everything during our 5 day trip was glitch free. I would like to highlight the contribution of Mr. Vijay who took great pains to respond to queries during odd hours and Sundays to ensure our requests where suitably accommodated. ❝ India Tour (Delhi & Agra) - Vijay Gupta was very efficient and looked after the groups comforts and requirements effectively. The guide, Yogesh, is also one of the very best. He not only explained the itinerary items well, but also gave the group valuable insights into India. I believe that the group members came away with a refreshed perspective of the country and product offerings thereof. ❝ Flights reservations - The members of Bangalore Wine Club are extremely thankful to you for all your help in organising and booking the flight tickets on Kingfisher for our Pune/Nashik/Mumbai flights earlier this month for our wine tour in the region.